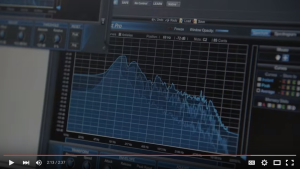 Find of the day: Blue Cat’s FreqAnalyst Pro has been spotted on a CNBC commercial! Of course, it’s not a paid product placement for subliminal advertising 😉 – it looks like it was simply used by a drums manufacturer in the show to analyze the response of their products. Thanks to RealHomeRecording for the heads up! You can check it out here (around 2:12-2:13). Did you know that the older Freeware Pack 1.x is still available for download? We are often asked about older versions of our free plug-ins that would work with PowerPCs (Mac) or non SSE2 processors (Windows). We have made the older installers available, in case you would need them for your old rig! We are not providing support for these versions anymore. If you want the latest, fully supported freeware plug-ins pack, it’s here! We have good news for you: we are currently testing our free plug-ins with Pro Tools 11 on Windows, and it is working pretty well! We hope that you are ready to welcome the new 64-bit PT11 too!